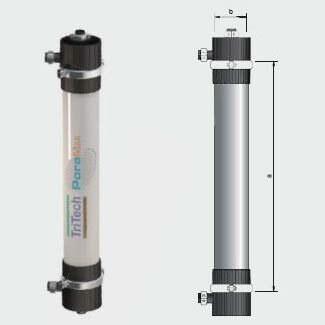 Our Ultrafiltration Hollow Fiber Membranes are rated among the most advanced Water Treatment Solutions in Singapore. After extensive research and development, we have manufactured Ultrafiltration Hollow Fiber Membranes that have compact design and low energy consumption. They are very efficient in purification of water and are widely used in pretreatment of seawater, drinking water purification, surface water purification and many other applications. Long life, easy maintenance and superb performance make our Ultrafiltration Hollow Fiber Membranes one of the best Water Treatment Solutions. High performance : High and stable permeate fl ux and excellent separation capability at low operating pressure. 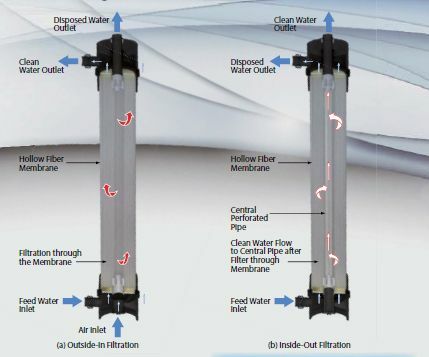 High reliability : Narrow pore size distribution guarantees excellent treated water quality. Careful selection of membrane materials provides exceptional chemical compatibility and durability with enhanced tolerance to cleaning chemicals. High mechanical : strength Membrane is made tougher to abate breakage under harsh environment. Long lifespan : Longer service life reduces maintenance and replacement frequency.